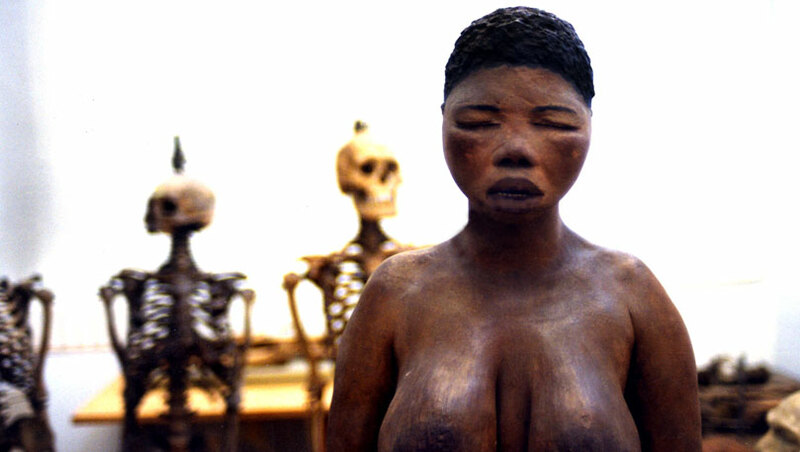 THE LIFE AND TIMES OF SARA BAARTMAN is the fascinating story of this Khoi Khoi woman who was taken from South Africa, and then exhibited as a freak across Britain. The image and idea of 'The Hottentot Venus' swept through British popular culture. A court battle waged by abolitionists to free her from her exhibitors failed. Narration written by Christian Docin-Julien; camera, Giulio Biccari; editor, Lise Beaulieu; original music composed by Pops Mohamed, performed by Pops Mohamed and Gloria Bosman.